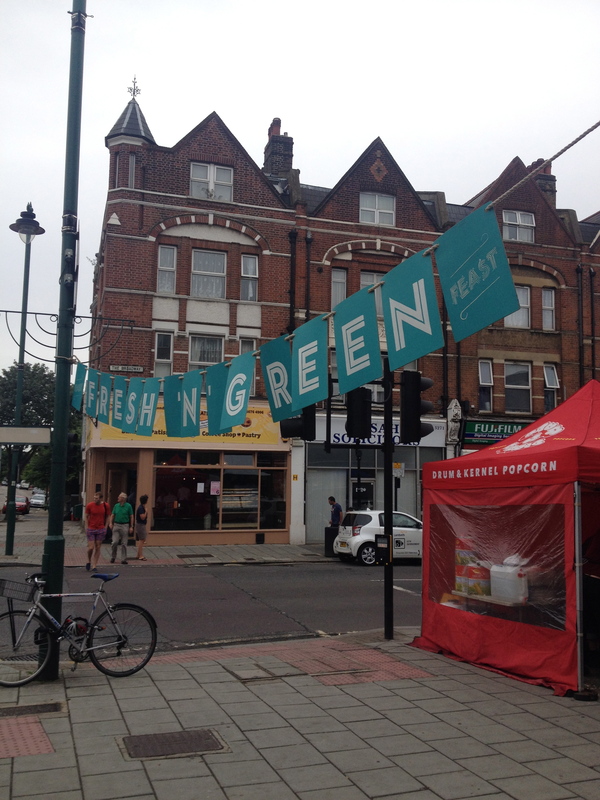 West Norwood FEAST has had a surge in awareness and popularity in the past year, but we thought we’d blog about it anyway. 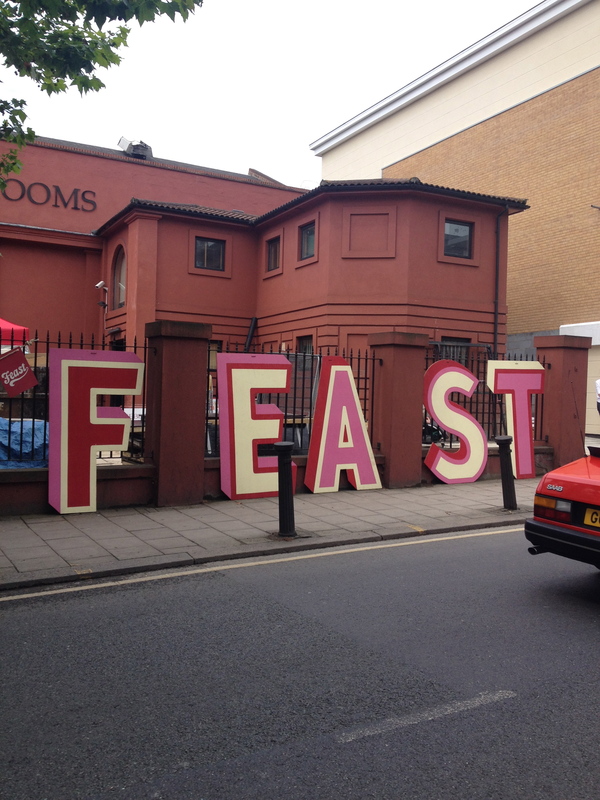 It’s still a relatively new concept – the first event happened in April 2011 – but each month (FEAST is held on the first Sunday of every month, sometimes with a short break in the winter, although this varies) it gets bigger. 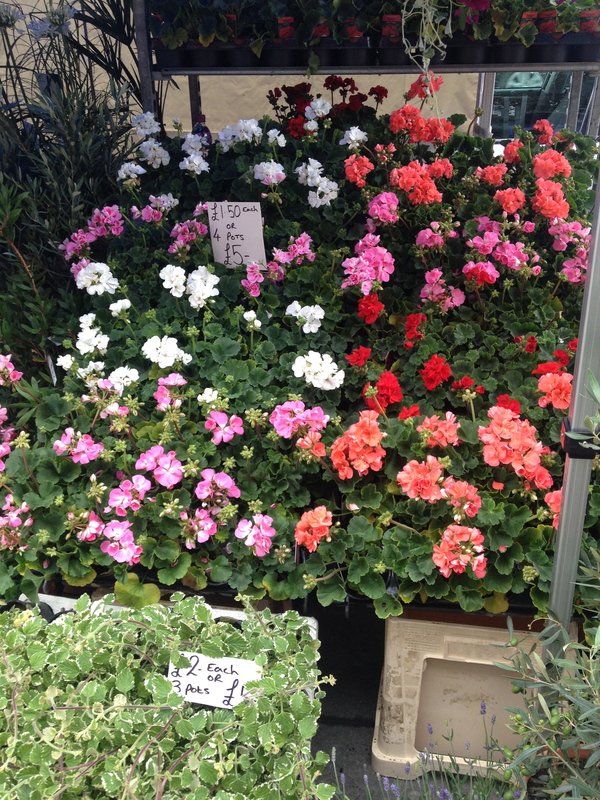 From what we understand the actual organisation is run by volunteers, and stalls apply for a space in the event, which goes to show just how much people care about the local area. The layout is quite clever – the event is split between four sections or themes; fresh n’ green for take-home groceries and deli goods, artisan for arts and crafts, retro village for antique and vintage goods, and the good old ‘food’ section for an instant foodie fix. Each section is situated in a different part of the town so while you have to walk a little distance to get to each one but it means that the town really embraces it. Shops and cafes you’d potentially ignore during the week really get into the spirit – for example, Beamish & McGlue, usually shut on a Sunday, opens up for the event. The food section, situated in the church garden, has its regulars but you there are newcomers, too. 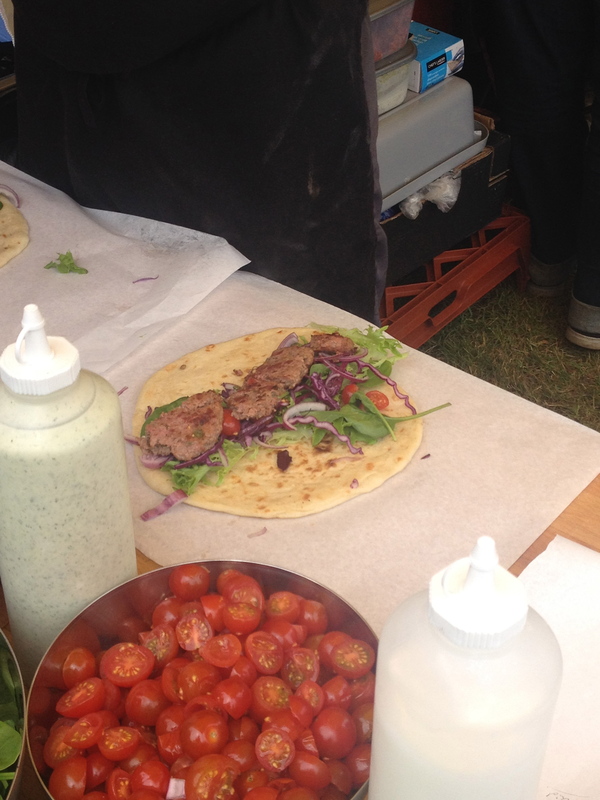 The July event saw the absence of Original Fry Up Material – creators of the most delicious breakfast burger ever. Word from the organisers is that they’re doing the festival circuit but they’re back in the autumn, so don’t miss out come September. 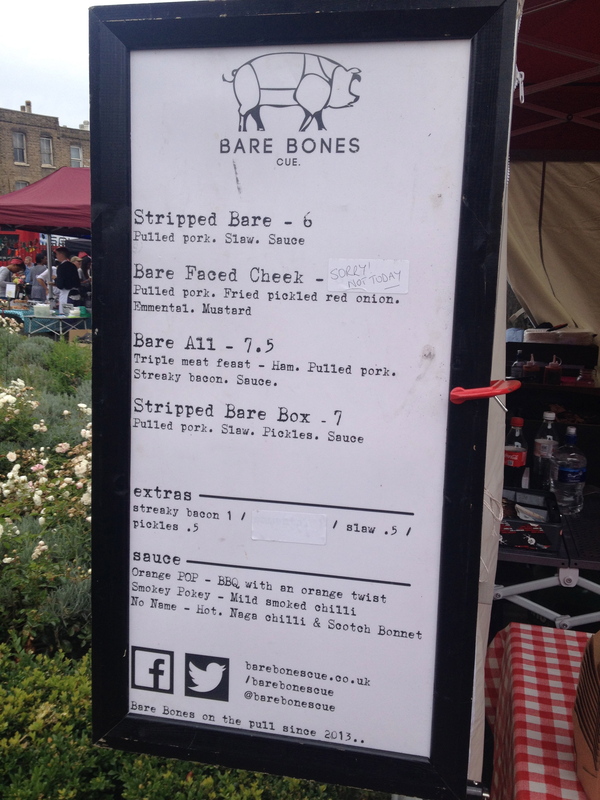 Today we tried two places; Bare Bones Cue and Curry Cook House. 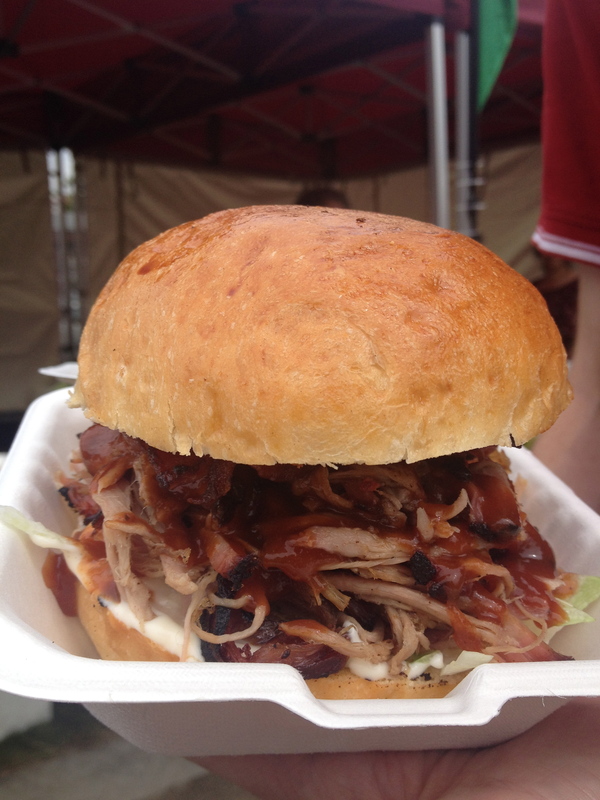 Bare Bones Cue specialised in pulled pork (are you salivating yet? you will be), either served with pickles, slaw or other variants of pig along with a choice of sauces. We went for ‘orange pop’, a barbecue sauce with a zesty orange twist that really lifted the flavour. 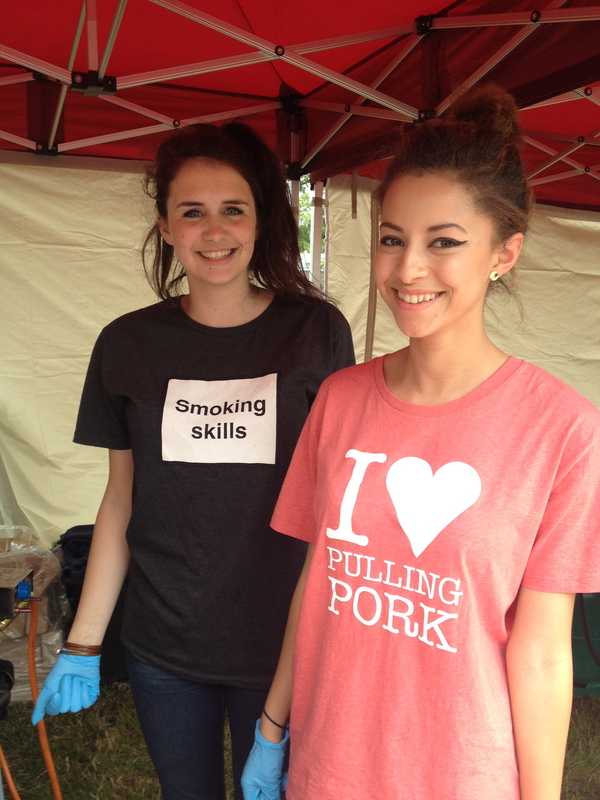 Running the stall were two girls with the best t-shirts we’ve ever seen. Curry Cook House has a simple menu but plays to that as a strength. 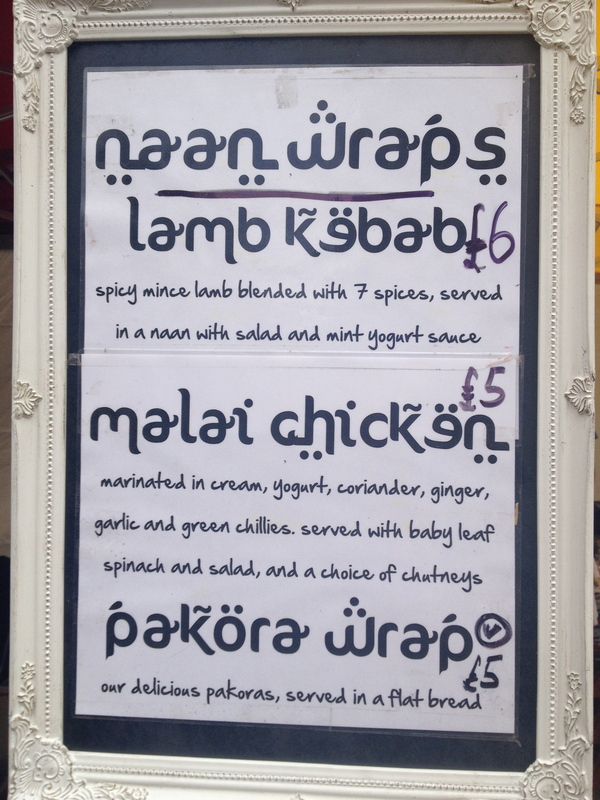 Choose from a chicken, lamb or pakora wrap that uses a naan as a base, flavouring with chutneys and spicy sauces. The sweet options are plentiful too. Favourites we’ve tried are Fiendish and Goode, who make baking look like a fine art, and Bunting and Pops, selling, er, bunting and cake pops. 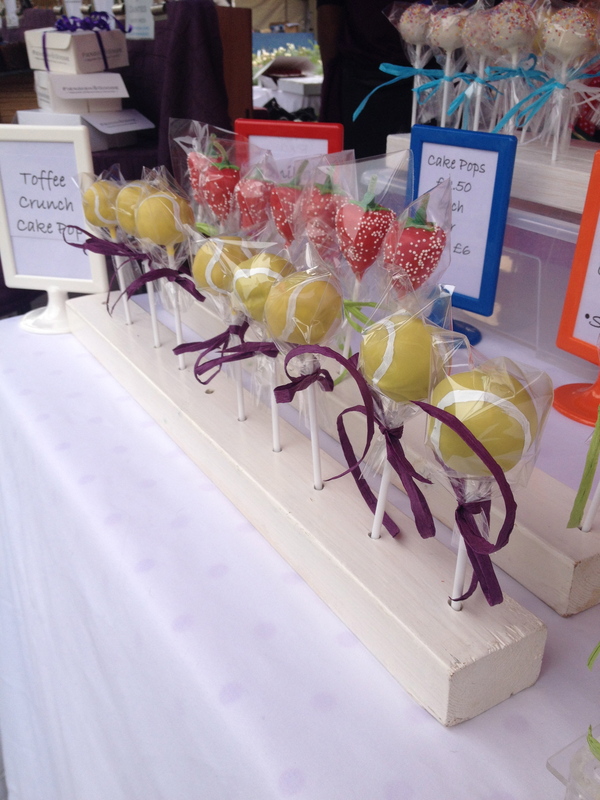 We didn’t try them but we loved the homage to the Wimbledon final in the form of tennis ball shaped toffee crunch cake pops. 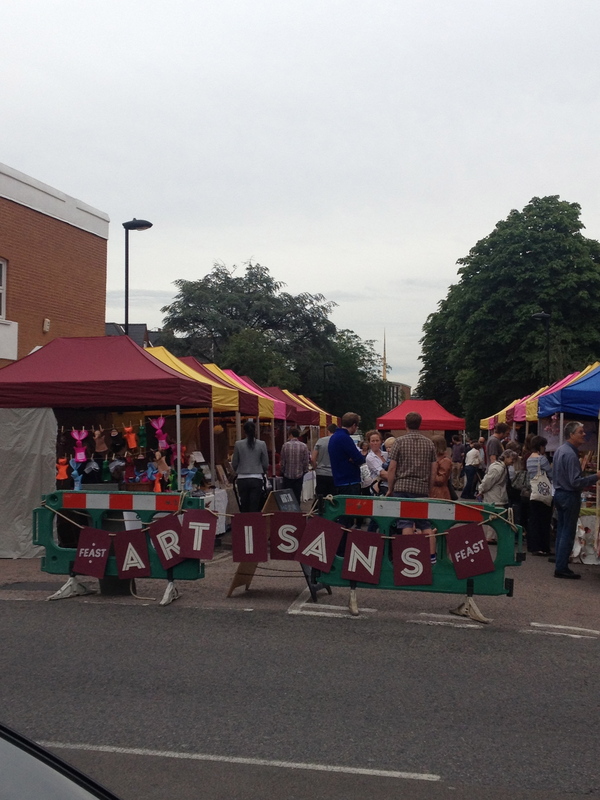 We’ve noticed the Artisan section, settled on Chatsworth Way, growing into its own little festival hub too. Home to arts and crafts stalls, it houses a small stage for local talent and also features a table offering free tea and cake to older residents. The Kay Barker Shop – really cute and quirky illustrations on cards and postcards. She has a space on the Etsy website too if you can’t wait for the next market – we bought the Cocktail Birthday Card. Postcode Prints – founded by Paul McBride, specialises in prints inspired by local attractions. 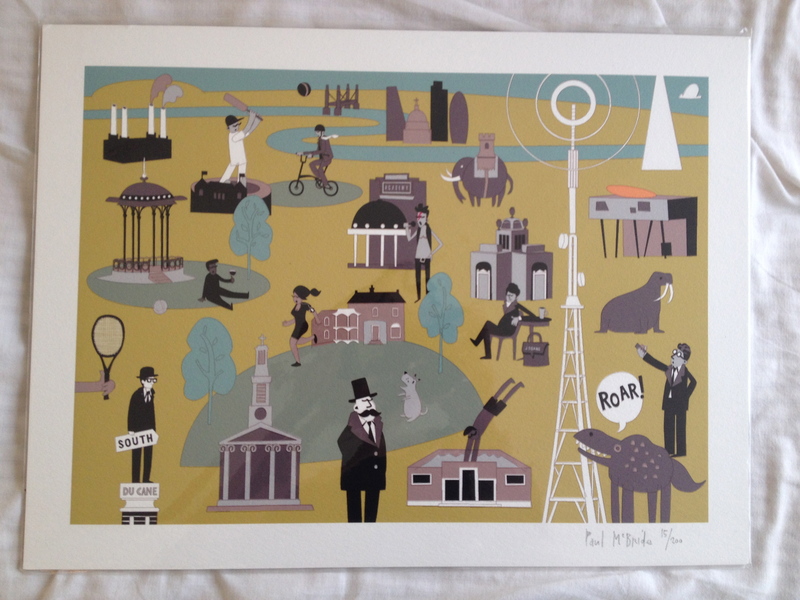 We bought this fab print representing south London for £30 – see which locations you can figure out. Puppet Pets – cute creations to bring out your imaginative side with the kids. 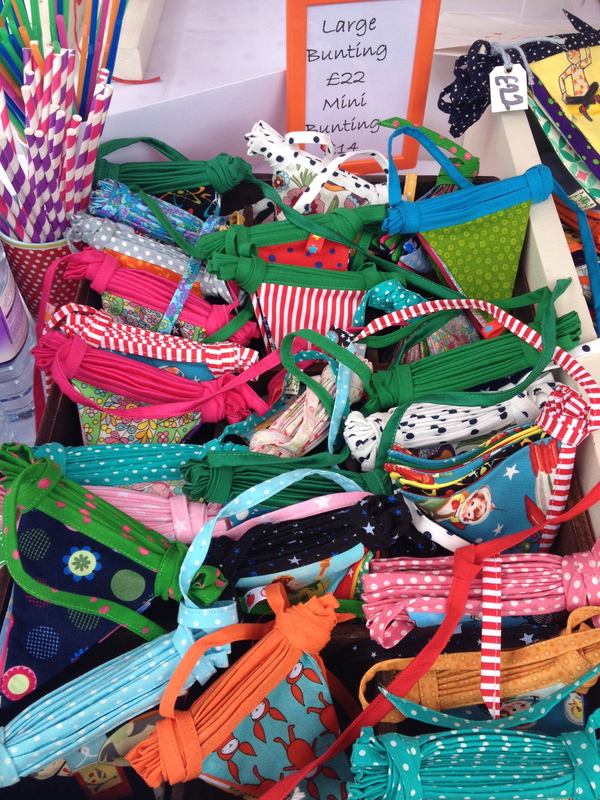 Most certainly a move on from the days of Punch & Judy…this stall also has an Etsy page. 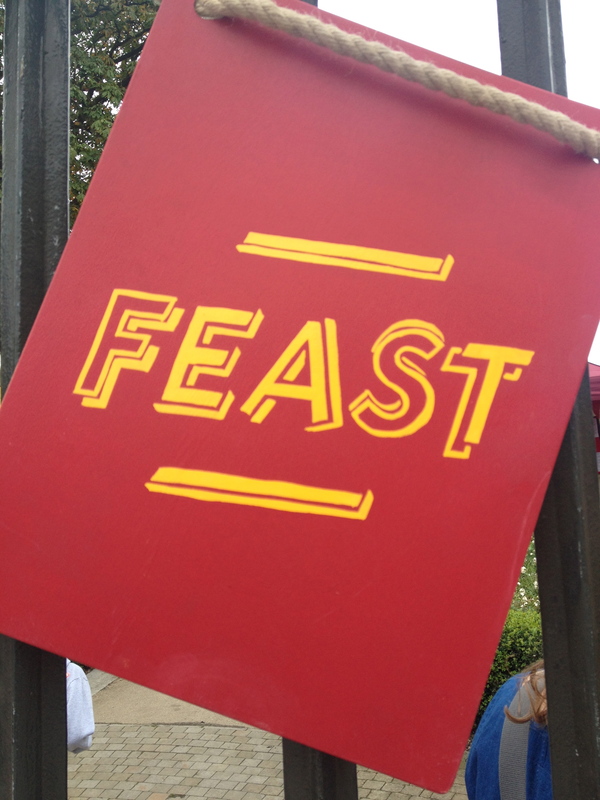 We’ve found through regular visits that whatever the weather, FEAST gets a big crowd, but summertime really gives it a wonderful atmosphere. There’s more than just the stalls, too; you’ll get regular performances from south London Samba and other entertainment groups. If you ride your bike, there’s a free service in the middle of the day situated in the Retro Village section.